Villa Rubia: Villa Rubia is an authentic, beautiful house suitable for a perfect holiday. It is furnished and decorated in style, plus all the modern comfort you need.The house is large, comfortable and well situated Villa Rubia lies in the middle of Cadaques on a square, facing the beach. The terrace on the ground floor is unique and perfect for little children. Upstairs there a terrace very private with beautifull views over the Bay. Dining room with balcony, large table and fireplace. Living room with fireplace and bay window. Several bedrooms with balcony. Large sun-terrace on the second floor and terrace on the ground floor. A wonderful house in the perfect location. We were a party of 6 adults and 4 children and this house was perfect for us. Spacious and perfectly adequately equipped, it provided us with a comfortable base in a delightful town. Lovely old house right on the water. Sit in the enclosed balcony and look at at the square below, and the sea. We were a group of friends who had a good week at this house. Bars, cafes and restaurants are all within walking distance, and there are some nice walks with lovely views at the end of them including Port LLigat, for a tour of Dali's summer house. What a treat, but you need to book ahead (24 hours in our case, but 3 weeks ahead in high season). We decided against a car, and arranged our own transport from and to the airport at Girona. Don't look for taxis - the tourist information office told us there are none, but in season there is a land train, which goes to Port LLigat and the cape in high season. Depending on how you read the description, this house has 3 or 4 bathrooms - when we stayed there were only 2, although a 3rd was under construction, and the entrance hall had just been replastered when we arrived. Plenty of room to spread out if there are a lot of you. Agent very helpful, and left key under mat because we were arriving late. Cadaques à noël , très beau temps et très peu de monde. Magique. Maison très sympa où chacun avait sa place . Très bien située. Maison très agréable, idéalement située. Sur 2 étages avec une vue exceptionnelle de la terrasse du haut. Cuisine grande mais assez rudimentaire. Penser à rajouter quelques grands saladiers! This beutifull house is situated on coast of Spain, at 1 hour from Girona and almost 2 hours from Barcelona. 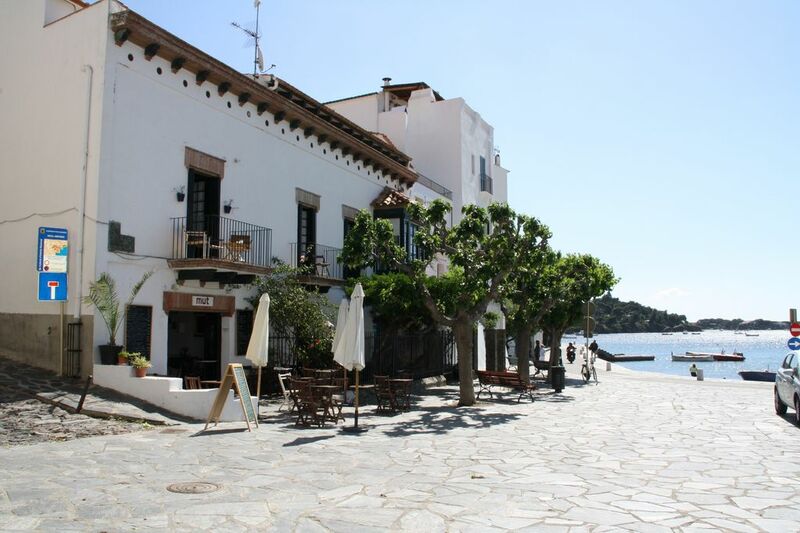 It is very close by Dali's Museum in the historical town Cadaques where Dali was born. A lot of famous painters lived in this town like Miro and Dali. Golf: There are Golf courses within 45 minutes driving from the house. Ski: It's possible to ski in Andorra or spain about 2.5 hours driving. Pre-payment 25% of the total amount. Total amount must be paid 4 weeks before departure. Cleaning and use of linen Euro 150,00 per week. Deposit against breakages and extra cleaning Euro 350,00. for every seccond week cleaning and linen will be added by 100,- The Villa is booked from 14.00h. on arrival day untill 9.30h. on day of departure.